Orange Class Bingo and Phonics! Orange Class have been having some great fun playing a special version of bingo. Each class member was given a bingo card containing various pictures. These were themed around certain topics such as animals or transport. Instead of calling out the names on our bingo card, the children had to listen out for a sound. A recording was played of a helicopter taking off, or a cyclist ringing a bell. If our own bingo card included a picture of this activity then we could cross it off. 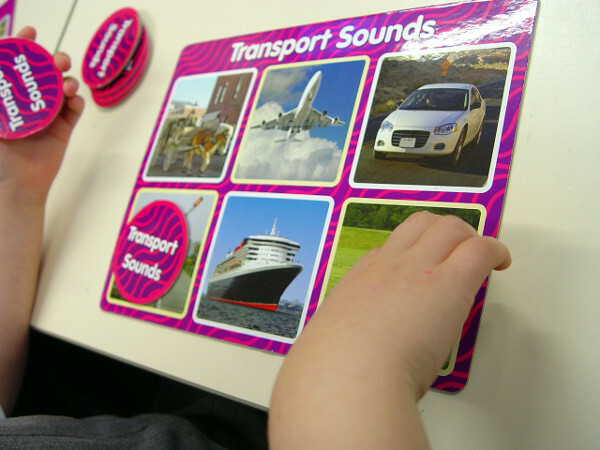 This activity helps the children to identify the sounds, and then to visualise what the sound might look like. Elsewhere around Orange Class and there is a continuing emphasis on improving the phonic skills of all of the pupils. The children are at a pre-reading stage in their development. 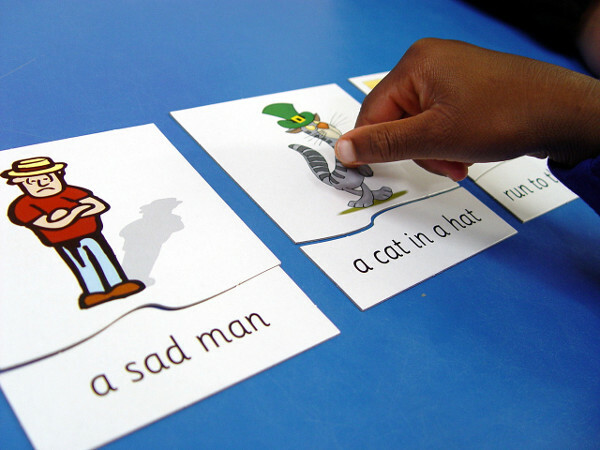 The introduction of phonics will give the pupils the foundations that they need when they soon start to read. We have been completing a number of phonic comprehension tasks. 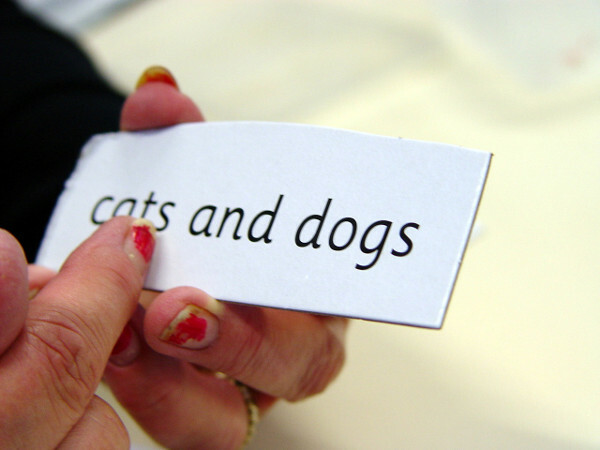 A selection of cards showing an image are placed on the table, along with a simple sentence. We ask each class member to sound out the phonics in the word, and then to try and attempt the complete word. We can then match the sentence with the picture. You can watch this activity taking place in the short video below.